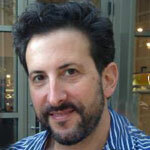 Jeff Bernstein is an artist, writer, and Co-Founder of Writing Pad. You can check out one of his stories on NPR's Unfictional (00:23:18). Jeff has a BA in Art History and French from the University of Pennsylvania and an MFA in Painting from the San Francisco Art Institute.